Home Emblem3 are an American pop rock band. They finished fourth on the second season of The X Factor USA. 12 Ashley Parker Angel Fantastic album! 14 Backstreet Boys 1. Just for One Day Written by Martin Johnson, Sam Hollander and Rickard Göransson. Produced by Martin Johnson. Additional production by Kyle Moorman and Brandon Paddock. 16 Bo Bice 2. Spaghetti Written by Drew Chadwick, Keaton Stromberg, Wesley Stromberg, Savan Kotecha and Jack Antonoff. Produced by Matt Rad. 29 Darin 8. Sunset Blvd Written by Drew Chadwick, Keaton Stromberg and Wesley Stromberg. Produced by Matt Rad. 31 Dede 9. 3000 Miles Written by Jon Levine, Ross Golan and Anjulie Persaud. Produced by Jon Levine. Co-produced by Matt Rad. 33 Drain 10. Teenage Kings Written by Drew Chadwick, Keaton Stromberg, Wesley Stromberg, Rami Yacoub, Carl Falk, Savan Kotecha, Julian Bunetta and Evan Bogart. Produced by Carl Falk and Rami Yacoub. 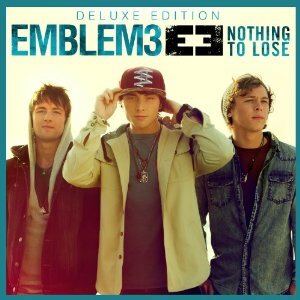 36 Emblem3 11. One Day Written by Peter Gene Hernandez, Philip Lawrence, Ari Levine and Mathew Miller. Produced by Matt Rad. 39 Five Martin Johnson is the lead singer of band Boys Like Girls. He also co-wrote Avril Lavigne's "Here's To Never Growing Up"